WARNING: The TPP is a hazard to your health and our Democracy! NO To Trans Pacific Partnership! WARNING! 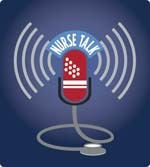 Please take a few minutes and listen to Political Director for National Nurses United, Ken Zinn as he talks about why it is critical to call your elected officials immediately and tell them to vote NO on Fast Tracking the Trans Pacific Partnership!